Be sure to use the coupon codes in the blue box immediately below the pricing table on this page. All discounts (on monthly options) will be applied at checkout when you enter the appropriate coupon. When you claim an annual option, your membership will be extended for the full two years when your order is processed on our secure shopping cart. Dollar For Dollar Newsletters Are The Most Effective Marketing Tool Available – Bar None! Here’s just a few of the reasons why a No Hassle Newsletter should be part of your marketing mix. Newsletters increase brand name awareness, they enhance your reputation as an industry expert; they have a longer shelf life than other forms of marketing (people keep them around!) and they also get read by multiple readers! PLUS! Newsletters are a great way to differentiate yourself from your competitors. Most People Read Newsletters with Their Guard Down! This is a key reason why they are so effective, because newsletters are not perceived as simply another sales solicitation. Dan Kennedy puts it this way, “People are conditioned to be less resistant to reading information (such as articles) than advertising. Your customers look forward to receiving it. Newsletters are an effective way to introduce new products. We never know what to put in it! And that is precisely why to many companies, even with their best of intentions, it just NEVER gets done! To be fair, most entrepreneurs and small business owners wear many other hats and have many responsibilities. So when push comes to shove, the monthly newsletter always seems to get pushed to the bottom of the to-do list, or doesn’t get done at all, and that’s a costly mistake. If you’ve never started a newsletter for fear that you wouldn’t have enough time or know what to put in it, then No Hassle Newsletters is the perfect solution for you and your business! If This Sounds Familiar, We Have A Quick And Easy Solution For You! With No Hassle Newsletters we not only solve the problem of “not knowing what to put in your newsletter” – we also solve the time crunch and expensive problem of designing it! No Hassle Newsletters are Done-For You! Concierge Client Support Team Plus, the No Hassle Concierge Client Support team can even print and mail your newsletter for you!! Let me talk about content. Every month, No Hassle Newsletter members receive 24-pages of our Workd Famous Customer-Loving™ content – a wide variety of articles, puzzles, clipart, and more! You get a ton of professionally written articles on a wide variety of topics and subjects that your customers, clients, and patients will love to read. And as a member of No Hassle Newsletters, you’re free to use it all in your newsletter! As a member of No Hassle Newsletters you’ll have access every month to tons of World Class “Done-For-You” Newsletter Templates! That’s right! Members of the Platinum No Hassle Newsletter Marketing System also receive an assortment of amazing ‘Ready-to-Go’ No Hassle Newsletter Templates! Every month our creative design team prepare multiple newsletter templates! You get both 2-page and 4-page newsletters in both black and white and full color versions! No Hassle Newsletters are already filled in with a great assortment of articles that your customers will love to read but since you get them in Microsoft Word, they are quick and easy to edit if you’d like to change out an article or two. If you can copy and paste you can quickly and easily edit No Hassle Newsletter templates! The No Hassle Newsletter Templates And Content Are! 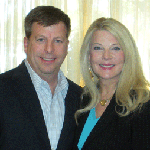 They Look Great - But Do You Have A Newsletter For My Business? The bottom line is your customers are not interested in a newsletter full of ‘business’ stuff. You may be interested in what you do, but they’re not. They are busy and time strapped just like you. The main job of a newsletter is to build stronger more profitable relationships with your customer, clients, patients, and prospects. This cannot be done if you send them a boring newsletter all about business stuff. Our super simple, yet highly effective newsletter marketing formula is this: Include one lead article about your business. This page one article is your monthly success story and this is where you describe how one of your customers has benefited from one of your products or services. You can also include a shorter ‘personality based’ article to help them get to know you better and that’s it! The rest of your newsletter, if you want them to read it, needs to be articles that are fun, interesting, informative, and entertaining. This is just a partial list of the hundreds of industries our No Hassle Newsletter customers are in. In addition to our world famous In Touch and FYI newsletter templates, our Platinum members also have access to an array of industry specific newsletter templates! These amazing 'Done-for-You' newsletter templates come in both B/W and color versions and already contain custom mastheads and professionally written industry specific lead articles! And the best part is, our 'Platinum Plus' industry specific newsletter templates are included at no additional cost with your Platinum or Master Reseller membership! To see samples of these amazing 'Platinum Plus' custom newsletter templates, simply click the image on the right. We’ll Even Print And Mail Your Newsletters For You! No Hassle Newsletter Members can get their newsletters printed and mailed for them by my outstanding print and mail department! In less than 5 minutes and from the comfort of your office chair, you can place your concierge order and send my team your newsletter template and mailing list and we’ll print it and mail it for you! 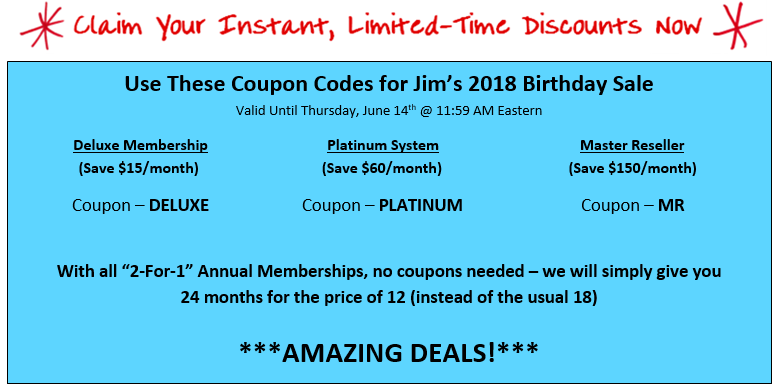 Plus, in addition to my already discounted prices (my clients tell me my prices are 10-15% less than their local printing rates) every month our customers get a discount coupon off this already value priced program: $75 for Master Reseller, $40 for Platinum, $20 for Deluxe CC and Email! in five business days or less. Now, that’s service! Curious about my prices? You can see for yourself by clicking here! ROI: Your Potential Return On Investment Is Huge! How much time would you have to save, or how many new customer sales would you have to generate to make this minimal marketing investment pay off big time for your business? The truth is, not many! Are You Looking For Another Income Opportunity? If you’re a coach, consultant, or marketing guru to your own customers, you may be interested in my No Hassle Newsletter Master Reseller program! With Master Reseller, in addition to promoting your own business with a newsletter, you can sell my newsletters and content to your own customers for a price you choose! Master Reseller gives you the opportunity to add another revenue stream to your business! You can view a video about the Master Reseller program at the bottom of this page! 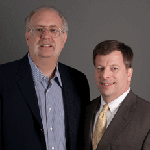 Dan Kennedy is a marketing genius and he’s one of my mentors. “Who should be sending out customer newsletters to their customers, clients, patients and prospects? The answer is everybody!! That’s right; there is not a business on the planet that couldn’t benefit BIG TIME with a monthly company newsletter. There is no better way to develop a relationship with people than sending out a properly written newsletter and Jim Palmer is the ‘go-to’ guy to help you get that done! Lee Milteer is an internationally known performance & productivity coach, TV personality, and speaker. 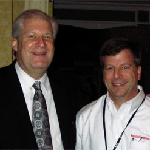 Lee says: “Jim Palmer is one of the greatest teachers to provide you with techniques and strategies to take you to an entirely new level of understanding, and success, in your business. When Jim spoke to my coaching group about the power of newsletter marketing, the audience was on the edge of their seats. 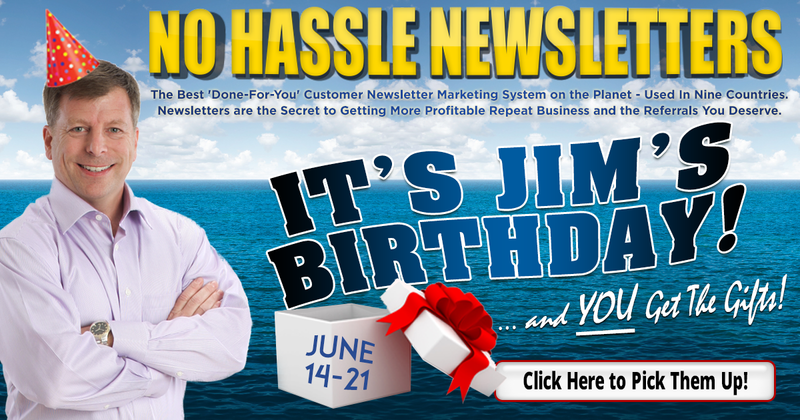 Jim and his team currently serve hundreds of clients in nine countries every month boost their profits with an awesome ‘Done-By-Us-For-You’ No Hassle Newsletter. Are you ready to join the team?! This is a perfect option if you already have a customer newsletter but want it to be faster, easier to produce, and more customer friendly! This program is also good for those that want to start out doing email only. This is most popular program because it includes everything you need to generate more repeat and referral business with both print ( the best option) and email. 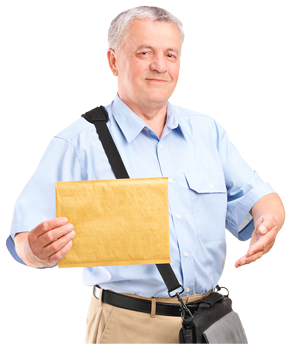 Platinum Master Reseller is Platinum Newsletter Marketer System with full reseller rights! Please watch the video at the bottom of this page and I'll explain this opportunity further. 12. Full Years of Archives! 16. newsletter templates in publisher! option annual ratePay for 12 months and get 6 months free! the price of 12... a 34% Savings! But What If We Need Help? Rest assured we are here to help you! While we are an internet based company, Ho Hassle Newsletters includes a ‘real team’ of client support professionals that are standing by ready to help you make newsletter marketing a big success for your business! You also have access to an extensive collection of easy to follow video tutorials, you can reach our team by phone or email. Act Now To Begin Building Your Business And Boosting Your Profits By Getting You More Repeat And Referral Business! We’re so convinced that you’ll love the time you save (and extra profits!) with No Hassle Newsletters that we back it up with our 100% Iron Clad No Hassle Newsletter Guarantee! The Iron Clad “No Hassle” Guarantee of Your Complete Satisfaction! If you’re ever unhappy with the No Hassle Newsletter System for any reason and want to stop your subscription – NO PROBLEM! You simply send email or phone us and we will politely and immediately refund your last monthly charge and remove you from the system never to be billed again! We either deliver top quality content that your customers love to read and our world famous ‘Done-By-Us-For-You’ No Hassle Newsletter templates to you every month or you can leave no questions asked. PLUS, YOUR MONTHLY RATE IS GUARANTEED NOT TO INCREASE FOR 24 MONTHS FROM THE DATE YOU SIGN UP! Coaches And Consultants, Add A Lucrative New Revenue Stream To Your Business With Our Exclusive Master Reseller Program! WATCH THIS AMAZING VIDEO NOW! Remember! Whatever price you sign up at – We guarantee not to raise your rate for 24 months! No matter how much it goes up – you will be locked in at the current rate for 24 months! P.P.P.S. If you have any questions about No Hassle Newsletters, please email us your question or call our office at 800-214-6158. A member of our client support team will be happy to assist you. What types of newsletters are available and can they be used for our business? This was answered above; please click here to see our answer! What kind of content can I expect? We provide a huge assortment of content on a wide variety of topics and subjects. Please click here to see our longer answer above! Do you have content specific to our business? We provide content that your customers will love to read. We do recommend one lead article about your business and if you don’t want to write that article we will write it for you! please click here to see our answer! Can you do our entire newsletter for us every month? Yes! Busy entrepreneurs love our Platinum Plus Concierge Level Service. You simply sit back, approve the proof and let us do the rest. Click here to learn more! I'm confused, what's the difference between each level? What do I need to do to get started; I've never done a newsletter before? We have created No Hassle Newsletters just for you! Everything is laid out and easily explained in the membership site. You will be contacted by a member of our client support team AND we’ll also email you immediately with some easy to follow instructions. And again, we have a library of small but highly instructive video tutorials that will walk you through every step of the process! What is all of this going to cost us per month including print and mail? There is no quick answer to that since it depends on your membership level and how many newsletters you print and mail. By the way, the higher your quantity the lower the per piece rate. Essentially though, your investment in getting more repeat and referral business in made up of two pieces: your monthly membership rate which you can find in the chart above, and also the cost for printing and mailing which you can also find in the Concierge chart by clicking here.